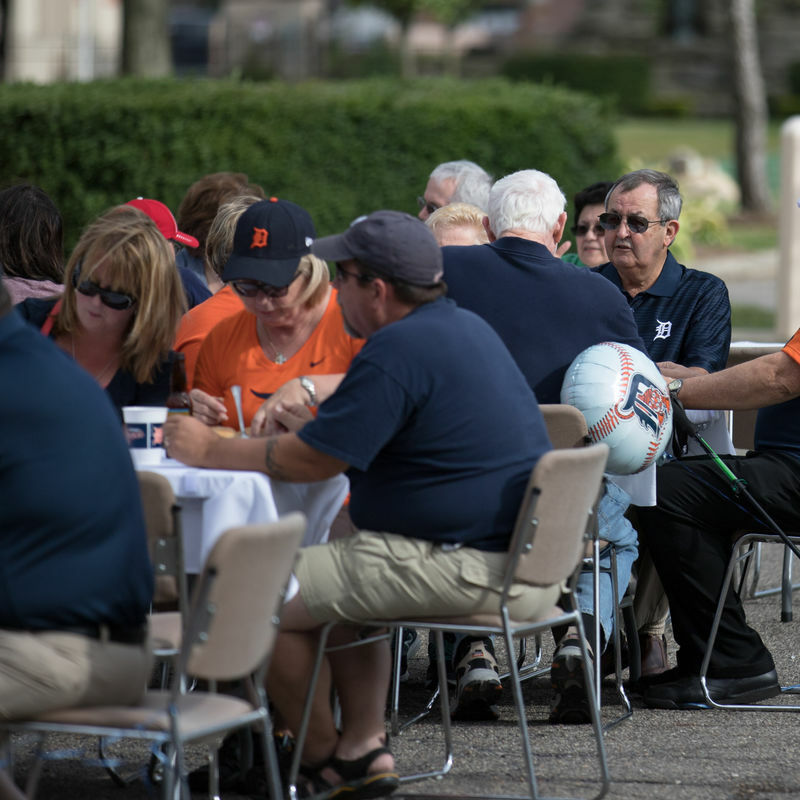 First-ever Alumni Tailgate and Tiger Game draws a joyful “opening day” crowd. 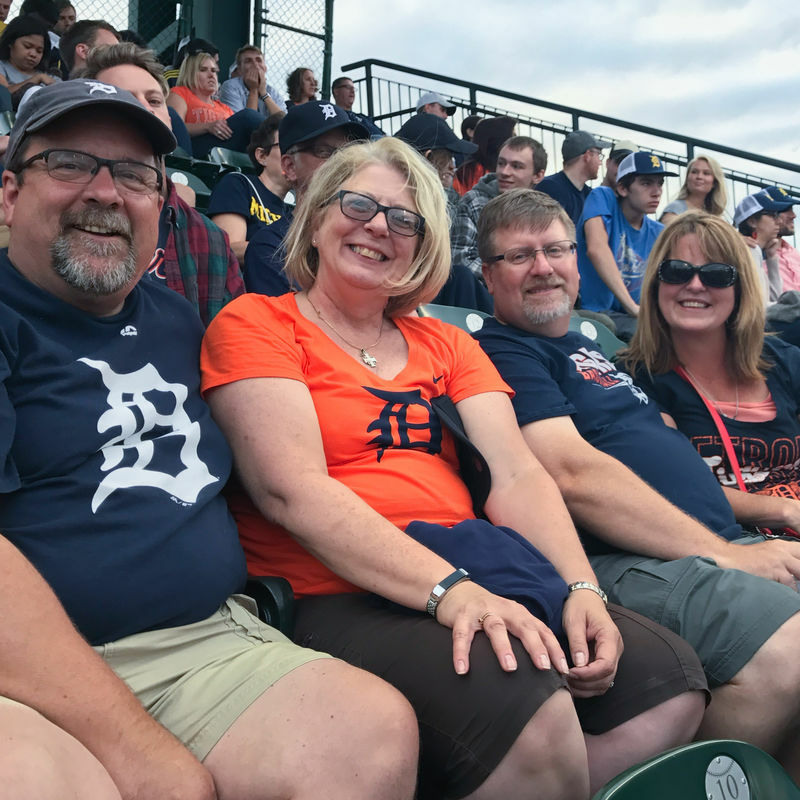 The Tigers may have lost to the LA Dodgers (8-5, boo), but the evening was a success for fans of the seminary. 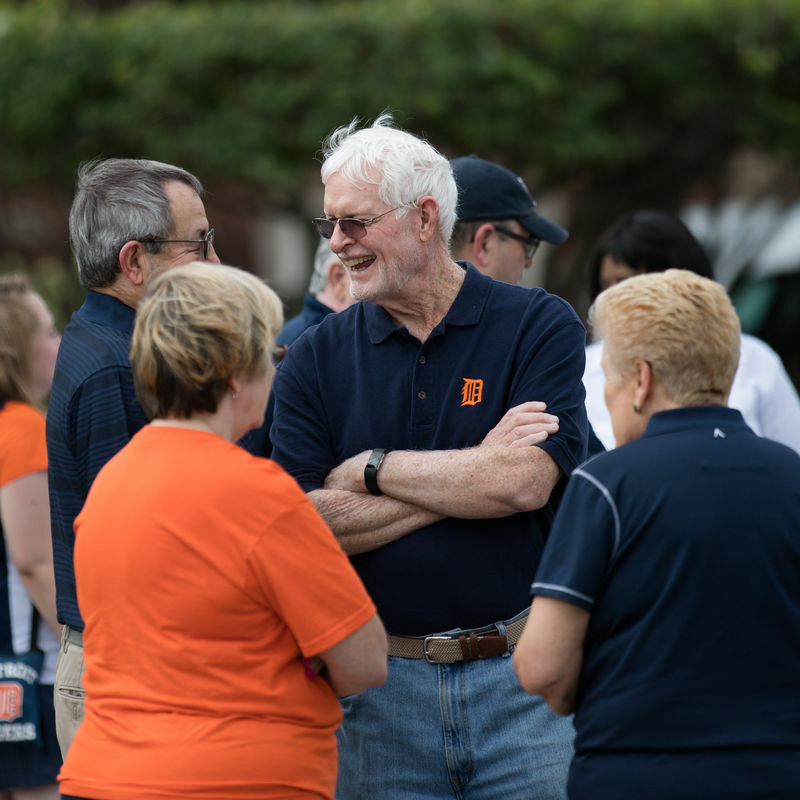 The first-ever Alumni Tailgate and Tiger Game drew an “opening day” crowd of fifty people on Friday, August 18. 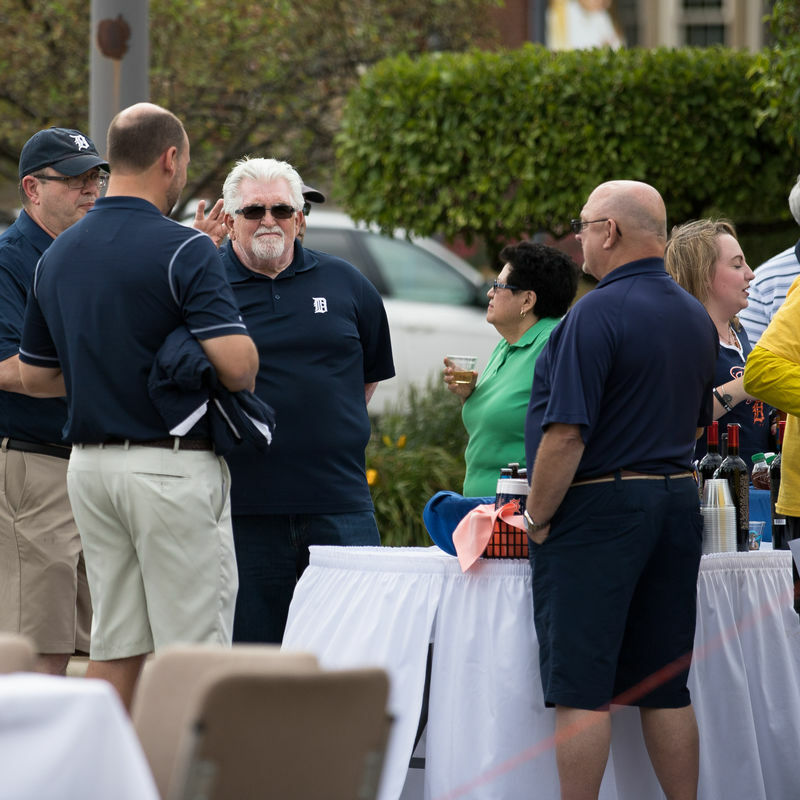 The event was hosted by the Alumni Association Board, led by new alumni director Fr. Paul Snyder and new alumni coordinator Emily Berschback. 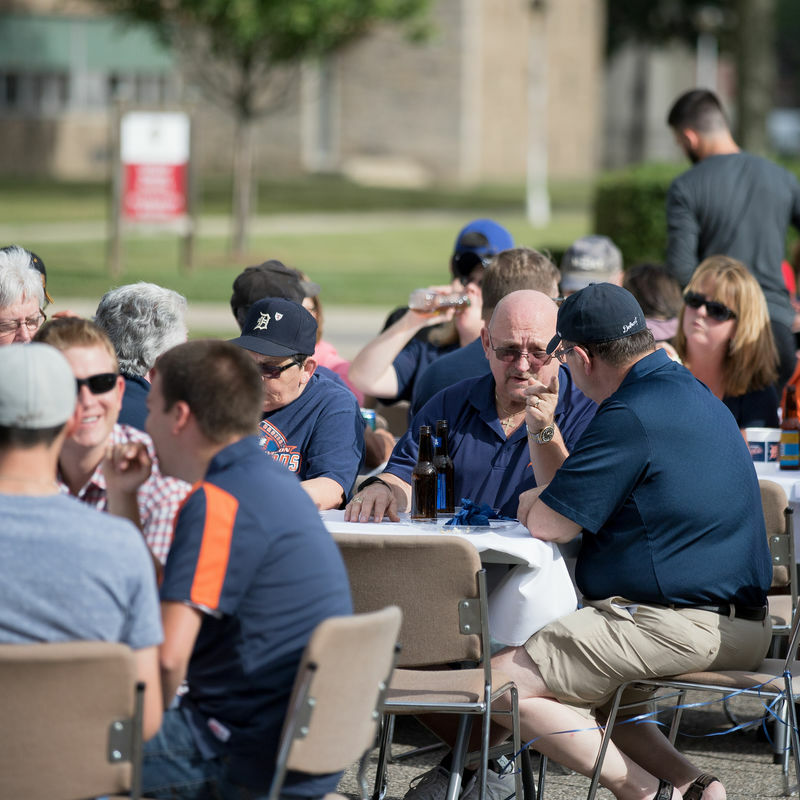 The attendees celebrated the 4:30 p.m. tailgate party in the parking lot of the seminary. The party featured traditional ballpark favorites—hamburgers, hot dogs, chips, pop, and even included beer and wine. William Sietz was so excited about attending the gathering that he flew in for the party from . . . England! 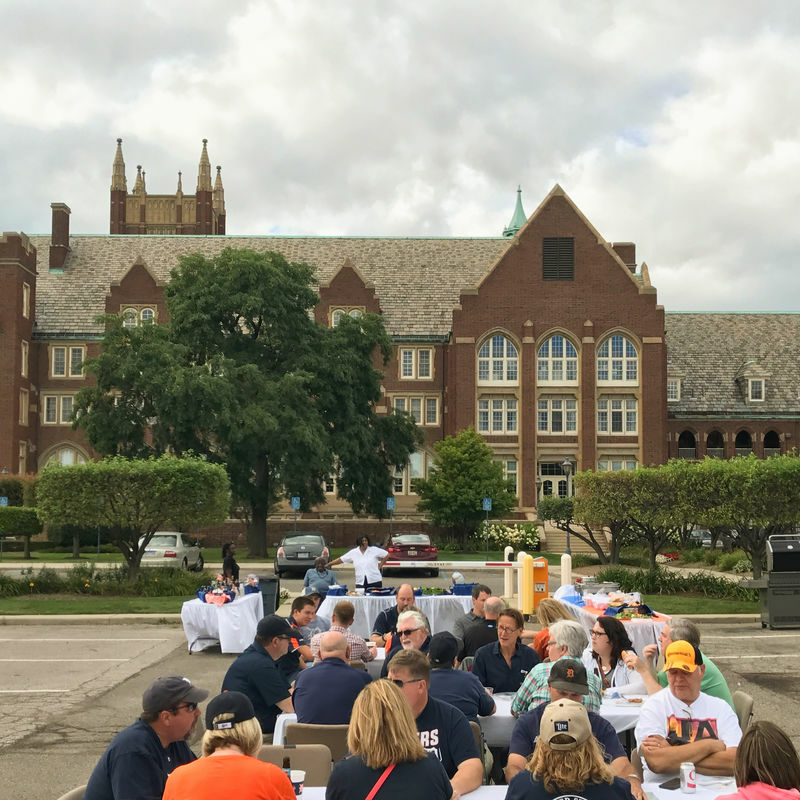 Mr. Sietz thought that combining his annual trip back to the U.S. with the alumni event was a great way to celebrate the fiftieth year anniversary of his graduation from the seminary high school, Cardinal Mooney Latin School. “Sign me up for next year!” exclaims Jack Dalzotto, a member of the Class of 2008 (Diploma in Pastoral Ministry). 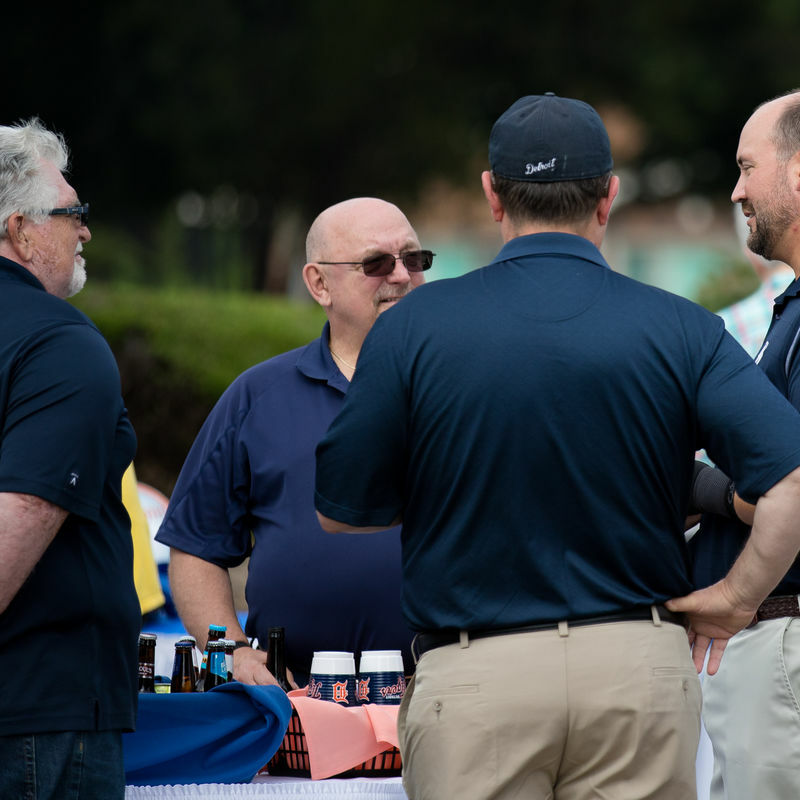 He calls the alumni event “a wonderful evening of fellowship” in which he enjoyed mingling with former students he knew and those he just met that day. “The food at the tailgate party was fantastic, too!” he says. 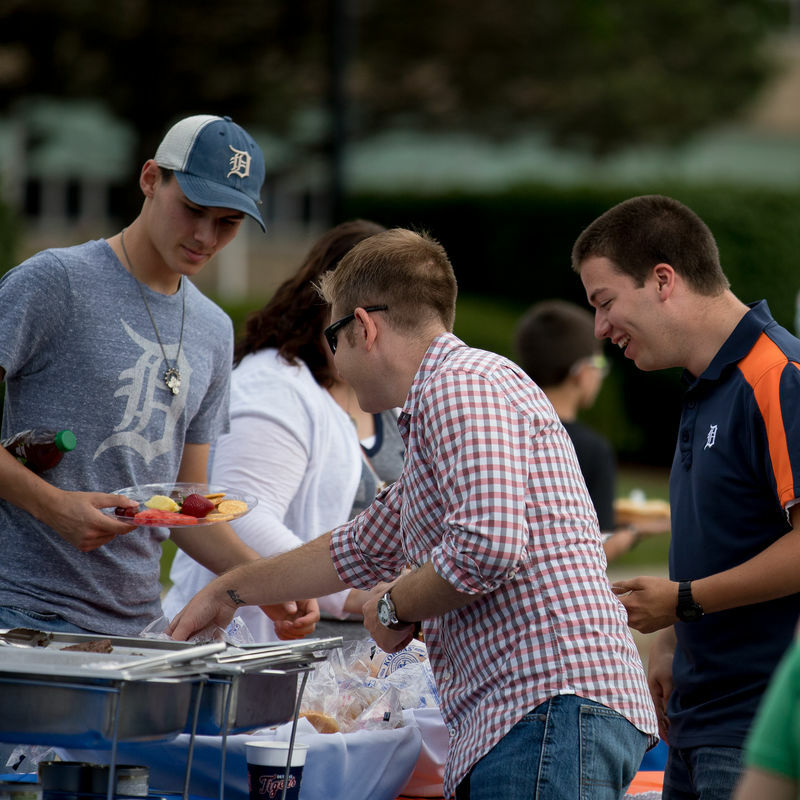 Look for your invitation for the second annual Alumni Tailgate and Tiger Game sometime in the spring. Go Tigers! Go Sacred Heart! The Sacred Heart Alumni Association hosts its first outing to a Detroit Pistons basketball game. 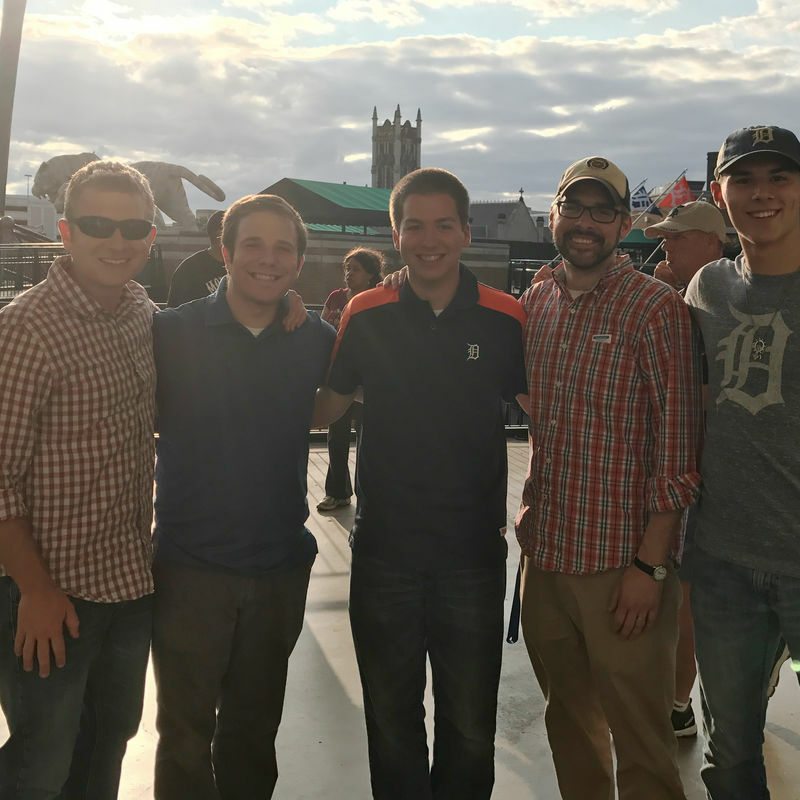 Sacred Heart alumni attend second-annual tailgate and Tigers game. Stay connected with Sacred Heart. Sign up for our monthly newsletter. Sacred Heart Major Seminary is a Christ-centered Catholic community of faith and higher learning committed to forming leaders who will proclaim the good news of Christ to the people of our time. As a leading center of the New Evangelization, Sacred Heart serves the needs of the Archdiocese of Detroit and contributes to the mission of the universal Church.